(Bloomberg) — South Africa will give mining companies credit for past black-empowerment deals even when the investors later sold their shares to whites or foreigners, removing a major concern for the industry. The country’s new Mining Charter, which is aimed at distributing South Africa’s mineral wealth more widely, will apply the “once empowered, always empowered” principle as long they met the previous 26 percent black-ownership requirement. The minimum percentage will also be increased to 30 percent within five years of the new set of rules taking effect. Mineral Resources Minister Gwede Mantashe has held months of talks with companies, unions and mining communities on an update to the regulations after a version published last year by his predecessor drew furious opposition and legal challenges from the industry. The Mining Charter, introduced in 2004, laid out rules and targets for areas such as black ownership to help to redress economic inequalities stemming from white-minority rule under apartheid. It was also updated in 2010. South Africa has the world’s biggest reserves of platinum, and its mineral deposits also include gold, manganese, iron-ore, coal, chrome and zinc. Anglo American Plc, Glencore Plc and South32 Ltd. are among companies operating in the country. For new mining rights, the minimum 30 percent black ownership requirement includes a 5 percent free-carried interest and 3 percent financed interest each for workers and mining communities, according to the draft, which was published for public comment before being finalized. The remaining 14 percent is for black investors. The Minerals Council South Africa said that it’s against the free-carry provision, which will hurt prospects for new investment in mining The Minerals Council South Africa, a lobby group representing most producers, said it will take time to study the document but that it’s against the free-carry provision, which will hurt prospects for new investment in mining and reduce the profitability of future developments. New mining right holders also must pay 1 percent of earnings before interest, taxes, depreciation and amortization to employees and communities. That’s a change from last year’s version, which required companies to pay at least 1 percent of annual revenue to black shareholders. The recognition of the “once-empowered, always empowered” principal comes after the industry won a court ruling in April that the first two versions of the Mining Charter didn’t require producers to top up black-shareholding levels in perpetuity if they previously met the minimum level. The council said last year that the charter produced in 2017, drafted by previous Minerals Minister Mosebenzi Zwane, threatened as many as 100,000 jobs. 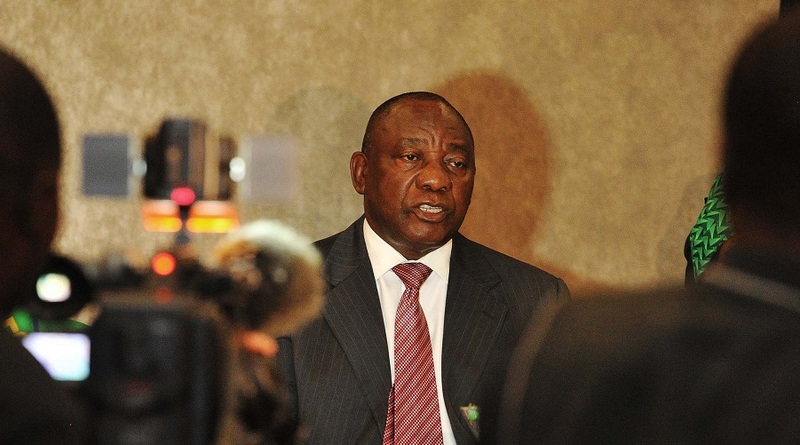 Tensions have eased between government and industry since President Cyril Ramaphosa, who appointed Mantashe in February, said he wants to resolve the impasse over the charter and convinced the lobby group to suspend its legal challenge to Zwane’s document. At least 50 percent of directors and 50 percent of top management must be black. At least 70 percent of the mining-goods procurement budget must be spent on South African manufactured goods, with a 60 percent local-content value. At least 80 percent of the money spent on services must be to South African companies.